Hey Nicole Richie News Readers! My name is Charlene and I run Richie Riches for Less, a blog I created back in 2010 on how to get Nicole Richie's looks for less. I always found myself constantly recreating Nicole's looks without having the heavy designer price tags. Nicole's style has always been inspirational to me from her edgy rock looks to those amazing bohemian looks. I was thrilled when Belinda asked me to do a guest post on her blog. Lately, Nicole has been spotted with various top knot dos. Today, I will be showing you how to recreate a top knot braid in a few simple steps. I love this hair style and how easy it can be worn for a causal day out or a special event. 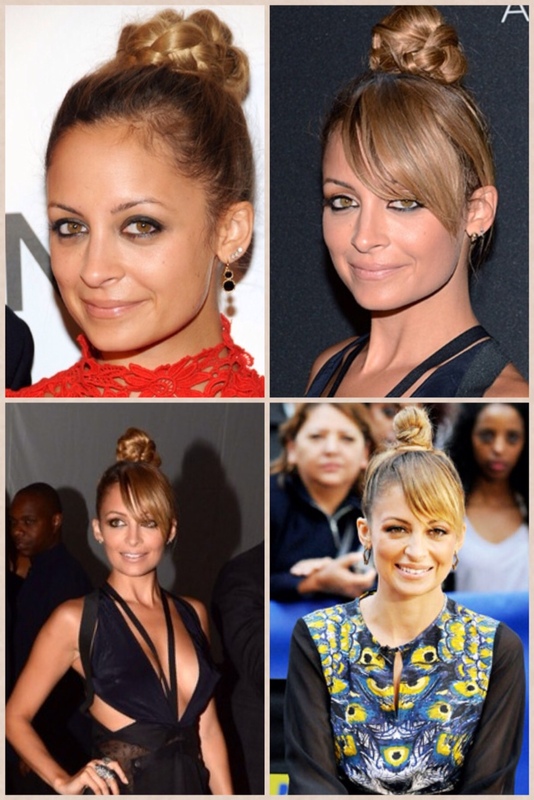 Nicole was spotted most recently at the FFANY event rocking this updo. Step 1) pull your hair into a high ponytail. Step 2) braid the loose hair (I like to flip my hair over to get the braid straight) I notice the tighter the braid the smaller the bun. So if you'd like a fuller bun, make your braid loose. Step 3) wrap the braid around the hair tie then secure the ends with bobby pins. I like to add a few additional bobby pins around the braid for extra security. Step 4) Finish! 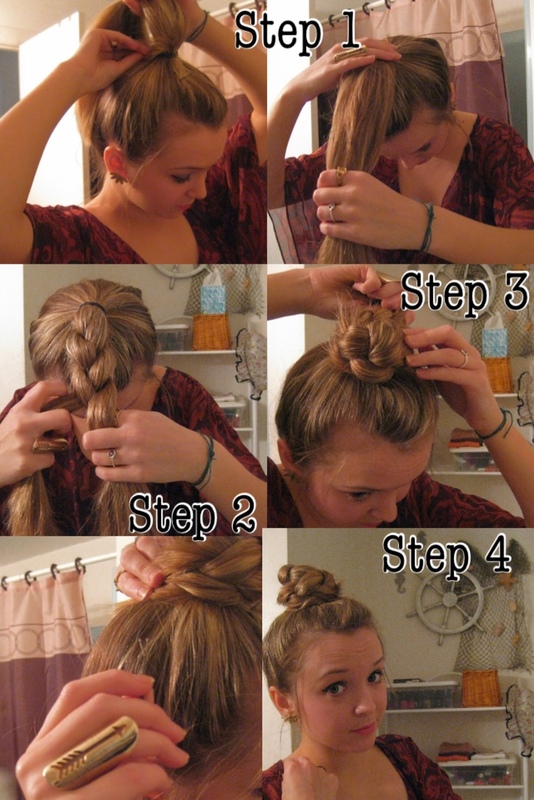 Then spray your braided bun with hairspray. I use Aussie instant freeze hairspray. To get ride of those pesky fly aways, I use suave Keratin Infusion Serum.